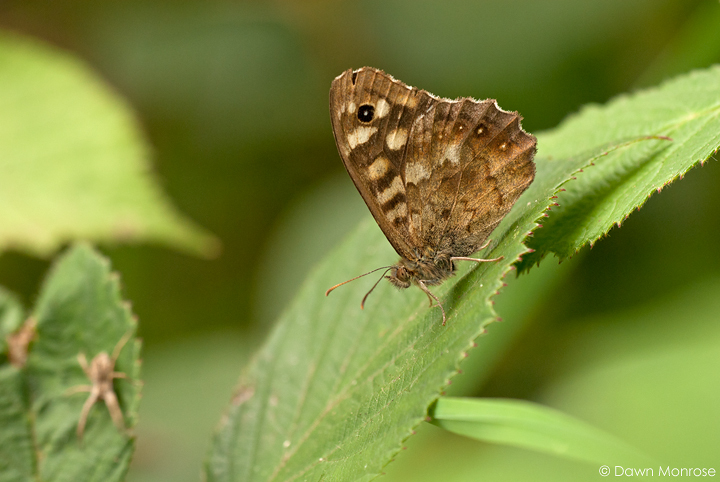 Nice to get behind the lens again. 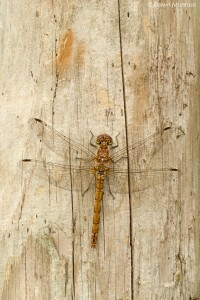 Visited the Fen (Redgrave and Lopham Fen) this week. 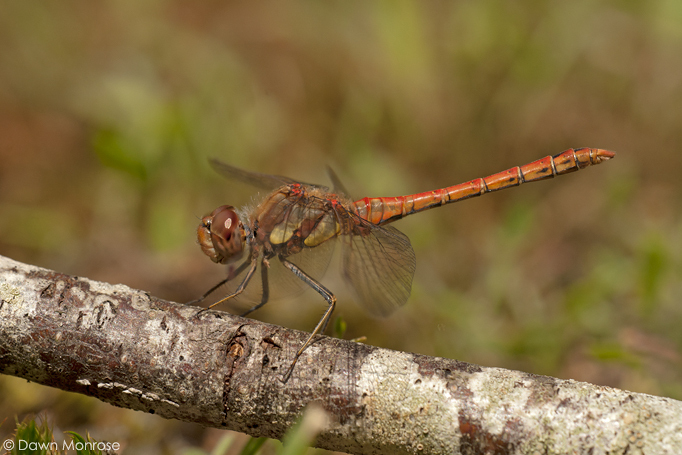 Lot’s of butterflies, dragonflies and damselflies about, as well as a couple of Kestrels, I had a lovely close encounter with one. Unfortunately I only had my macro lens with me! 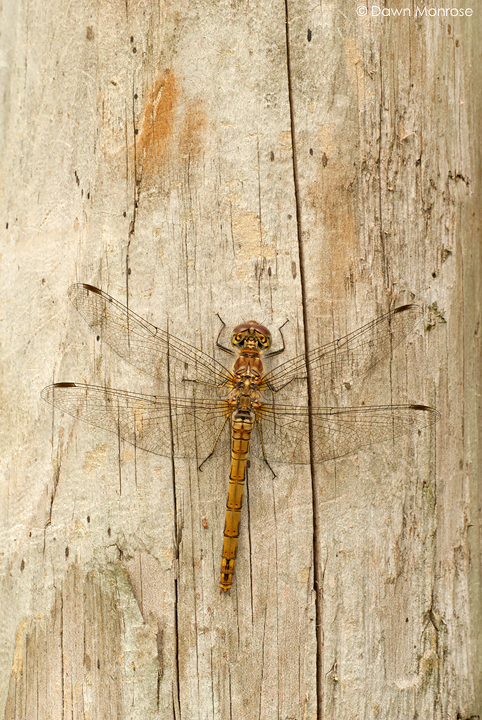 Found this female Common Darter dragonfly basking in the sun on a wooden fence-post. 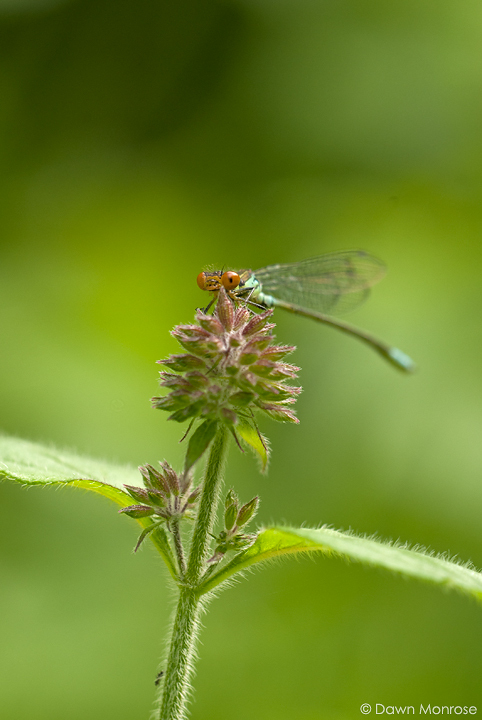 I believe this is a Small Red-eyed damselfly, which is an interesting find. This species first colonised Britain in 1999 from Northwest Europe. 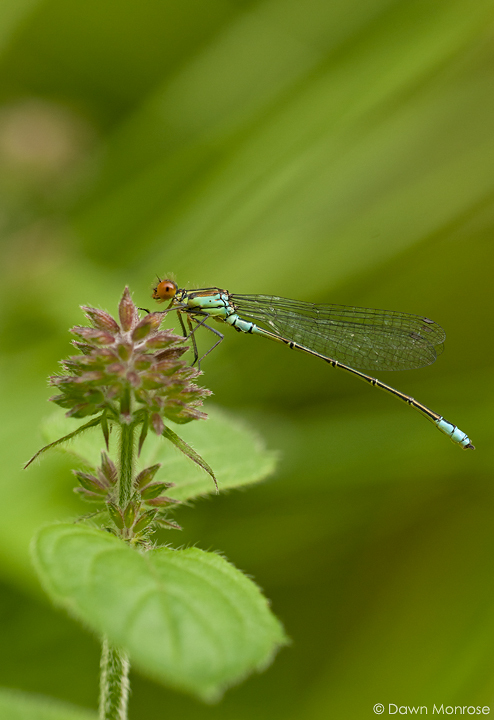 UPDATE: It is a Small Red-Eyed damselfly – kindly confirmed by the British Dragonfly Society. 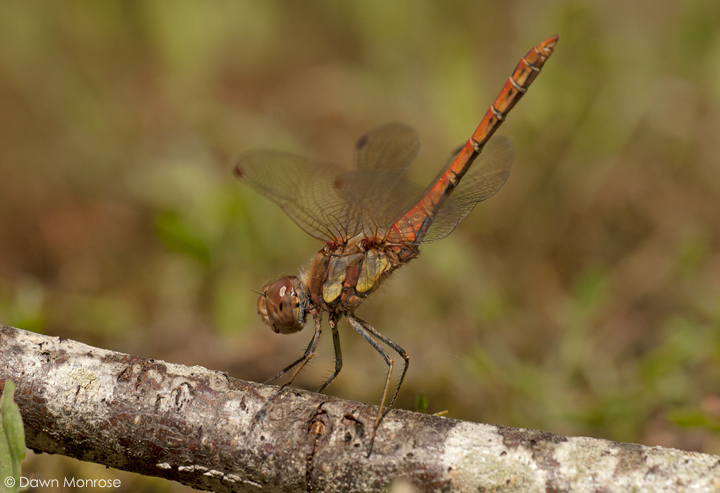 Finally I came across this male Common Darter basking on a stick, and posing for me!